Beattie's Book Blog - unofficial homepage of the New Zealand book community: EU referendum: where does publishing stand? Britain will vote tomorrow on whether to remain in or leave the European Union, but what does the book trade think? A majority of senior book trade figures have said Brexit could be a "threat to business", while those in favour of leaving the EU say fears over economic uncertainty surrounding Brexit are exaggerated. Among those in favour of remaining the EU are Bonnier c.e.o. Richard Johnson, who said Brexit could be a "financial disaster for UK publishing", while Waterstones' boss James Daunt said leaving the EU could mean job losses at the company. Pan Macmillan m.d. Anthony Forbes Watson predicted "long, drawn-out and toxic negotiations" for future trading with a post-Brexit EU. "Why would the EU make it anything but agonising for us to leave, given the anxiety over others following suit?" he said. But Biteback m.d. Iain Dale said Brexit would mean "long-term we can create our own trade agreements with anyone we like". 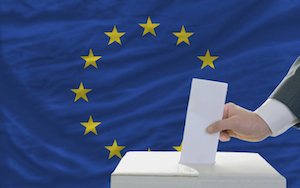 A survey conducted by The Bookseller found that support for remaining in the EU had grown since February. According to the survey 78% of the book trade will vote to remain in the EU, with 18% planning to vote for Brexit and just 4% undecided. A number of trade figures have written for The Bookseller about their stance. 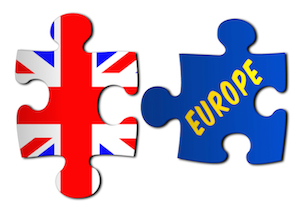 Literary agent Diane Banks, of Diane Banks Associates, made the case for Brexit in a blog in which she said the UK does not need to "shackle ourselves to an insular, dictatorial sinking ship". Silvertail Books' publisher Humfrey Hunter is also firmly in the leave camp, saying that he is "convinced the EU is heading for disaster". Pan Macmillan's Jeremy Trevathan argued that supporters of Brexit have abandoned logic and reason. Gordon Wise, literary agent at Curtis Brown and president of the Association of Authors' Agents, said he is for remain "triggered by a combination of head and heart arguments". John Fallon, c.e.o. of Pearson, Baroness Gail Rebuck, chair of Penguin Random House UK, and Daunt, in his roles as m.d. of Waterstones and founder of Daunt Books, are among 1,285 business leaders who today signed a letter to the Times urging votes to back remaining in the European Union. A number of authors have also had their say on the debate. Ian McEwan warned a vote to leave the European Union would set into motion "a dangerous unravelling", while Sarah Waters and Marina Warner are among signatories to a letter presenting the "cultural case" for staying in the EU. Harry Potter author J K Rowling, writing in a post on her website, said the referendum debate had deteriorated into one of the most "divisive and bitter political campaigns ever waged" with some "racists and bigots" directing the Leave campaign. Philip Jones, editor of The Bookseller, summing up the arguments made by trade figures, said: "Dismissing Brexit supporters is the wrong option. The book business is broadly middle-class, metropolitan and outward-looking. There are moments when you realise how out-of-step we have become with the society around us, and this may be one of them. Being diverse cuts both ways: if the nation votes to leave, then we need to redouble our efforts to build a country where everyone is a stakeholder and where the joy of reading is part of everyone’s day-to-day. "We also need to better demonstrate in our publishing the benefits of immigration, of reading diversely and of being open to different views. In a way, despite what may happen this week, the solution is to become more European but this time take the citizenry with us."